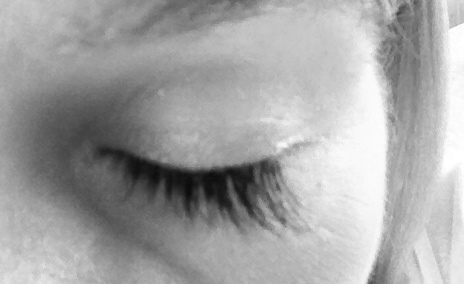 In preparation for our upcoming beach vacation, I decided to get fake eyelashes. And yes, I understand that this is the least obvious prerequisite one would need for this type of journey. But hear me out: what’s easier than no makeup at all when you’re on vacation? Universal truth: most people still want to look decent at the pool or in the surf (hence swimsuit shopping angst), but an elaborate smoky eye just doesn’t hit the right note. My awesome stylist S. recently started doing eyelash extensions and asked if I was game. Was I? Did she have to ask? Overall, it was quite a relaxing Saturday morning. Individual lashes were carefully glued into place. Expected duration is about 3 weeks, at which point I’ll need a re-fill. Yes, it’s a weird little splurge and I probably won’t keep it up forever, but like many things, it’s fun while it lasts. Oh, you say you won’t keep it up, but you probably will. I hope you do. Best beauty decision I’ve ever made. And they look amazing on you! You are so kind! My selfie skills are pretty weak, but I had to post this one. Thanks! Falsies are so fun for special occasions! Agreed! Maintenance is going to be a trick but I love them so far! Do it! May seem counterintuitive, but it really lets your beauty routine be low maintenance.